Having a perfectly clean kitchen is what every woman wants and needs, but keeping this place tidy and without dirt is hard, challenging and requires effort and time! Washing dishes is not the only procedure you have to make, there are many more things you must take care off just to have high-level hygiene in that area! One of that other places you must clean constantly in your kitchen is the kitchen sink! That’s a working surface which can easily become dirty if you don’t clean it every week, there are no excuses! But, you have to follow some rules and tips for keeping this area tidy and without bacteria! We’ve rounded up 10 best kitchen sink cleaning tips that will make your life easier and your working hours shorter! Read them with attention and include every suggestion in your cleaning routine! Happy cleaning! 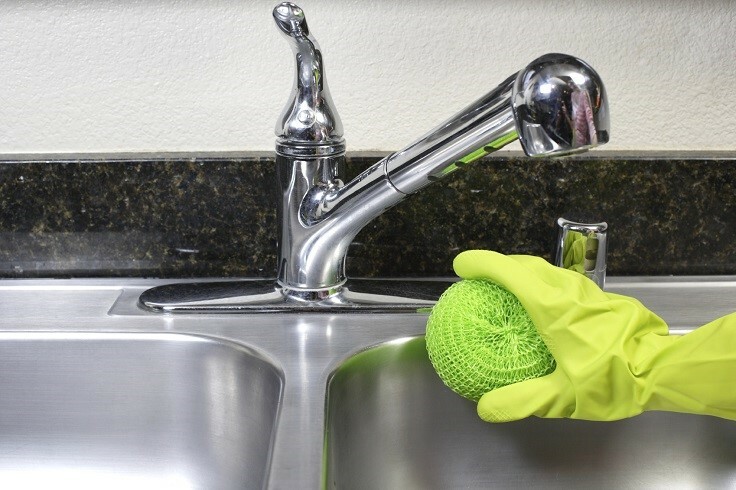 Never leave the mess in your sink and always clean it on time, because that’s the easiest way to clean dirty dishes without a lot of effort! 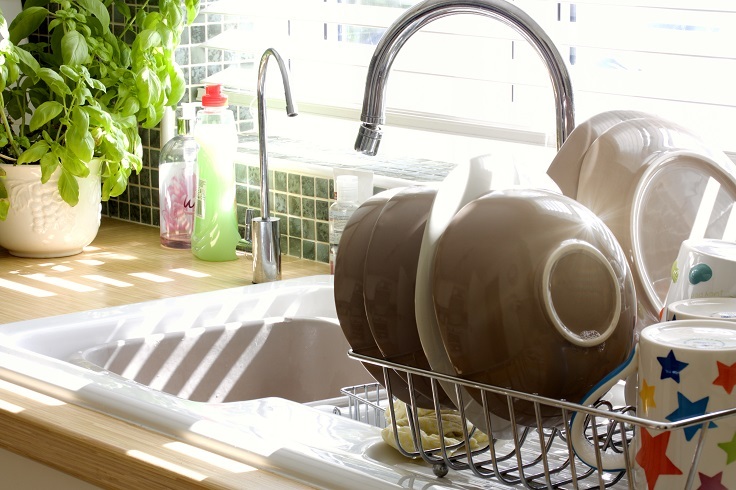 It’s easier to wash dishes if you start right after you put them in the sink than later! Remove all solid debris from your kitchen sink, such as vegetable peelings or food residue and never leave them in the sink for a long period of time, because your kitchen will start smelling like garbage! Rinse the entire sink with hot water after every dish washing, because that’s the only way to damage all the bacteria that lives there! 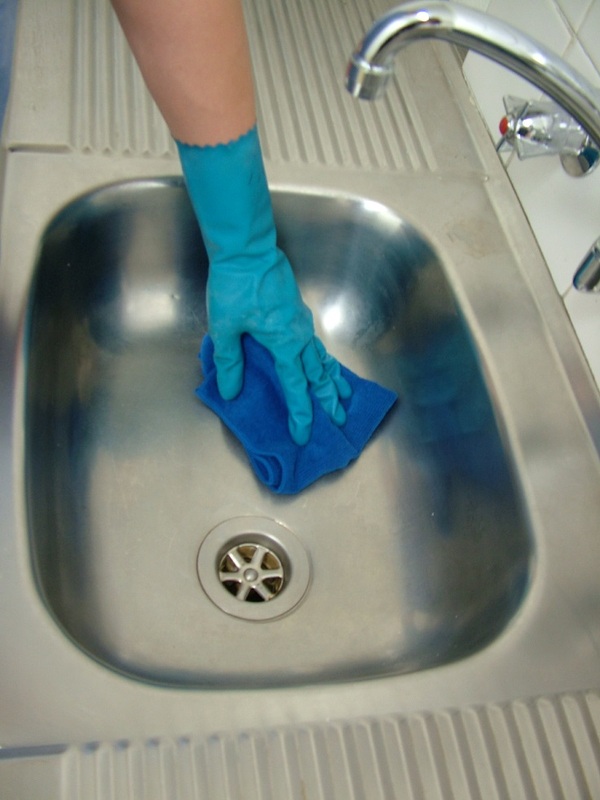 Clean the kitchen or bathroom sink with a stainless steel cleaner you can make by yourself. For the whole recipe follow the link above and don’t forget to rub the sink in the direction of the finish. Also clean every part of the sink: inside, outside, around the faucet and around the garbage disposal! Tight areas around the faucet and the edges of the garbage disposal can be hard and difficult for cleaning. But everything will become easier if you use a toothbrush, because that’s the dirtiest part of a sink! The outside of the sink is equally dirty like the inside, so never forget to clean it carefully. A lot of bacteria are living on that surface and we’re sure that you don’t want any of them to be in contact with clean plates and glasses! Rinse the stainless steel cleanser off very carefully with hot water. Then use clean towel or cloth and dab the sink until is completely dry and after that polish the sink! As we know that this is the area that can easily become a mess, you should take care of it and keep it clean all the time. The best option is to clean it minimum once or twice a week for ideal maintenance! After the cleaning procedure, use a soft, lint free cloth and polish every part of the sink carefully. The result you want and need is completely clean and shiny sink surface! 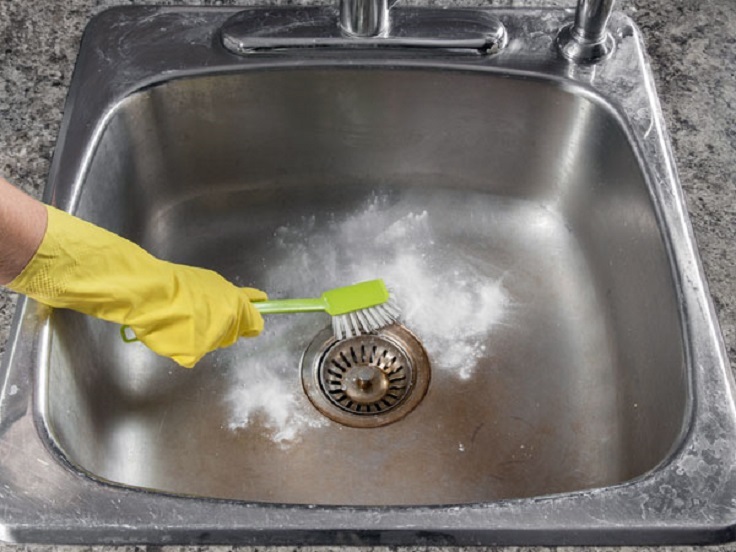 Instead of a sink polish, use a baking soda for kitchen sink cleaning. Make a mixture of baking soda and a little water and mix until it gets the paste form. Spread the paste all over the sink and start rubbing with a sponge. After that rinse and dry your sink like we’ve mentioned in the tips above! Great cleaning tips! I try to keep my sinks as clean as possible. More than everything I hate seeing not maintained sinks. 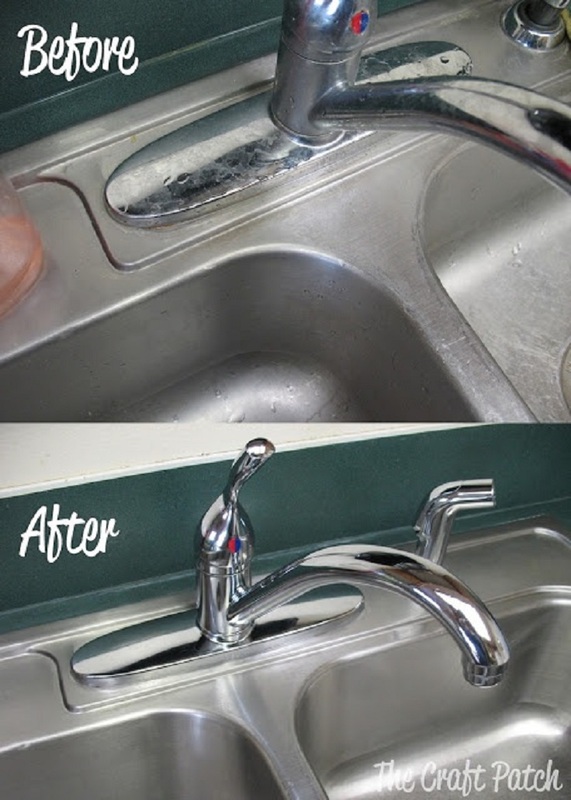 Those tips are great in order to remain your sink perfectly clean!